The murder house has turned into a nightmare for its new owners Ernst Von Schwarz and Angela Oakenfold. The married couple told CBS in an interview that they were plagued with crazy fans who were showing up to their place to take photos and sometimes would even force themselves into the house. “A week before I first visited them [to work on the case], they had been awakened by the sound of glass breaking — someone came in through the window in the kitchen,” their lawyer told The Real Deal. Apparently, the realtor and former owners are to blame because he didn’t inform the owners of the house’s history. 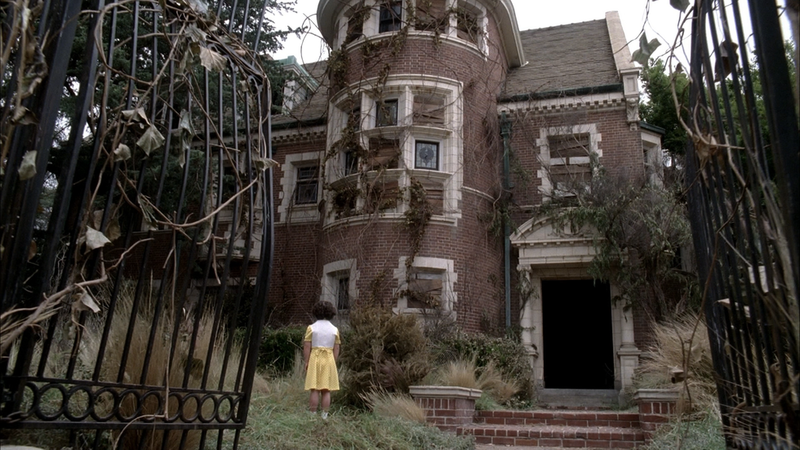 The house appeared in the entire first season of the FX show. They bought the Rosenheim Mansion in Los Angeles, for a handsome 3.2 million in 2015. The owners have now asked for an approval to get a bigger fence or hedge built for more privacy. Moreover, in the process, they are also suing for unspecified damages. Some teenagers even got a garbage truck driver to give them a boost over the fence in one particular incident. “He put them in the crane and elevated it. And I’m in the bathroom and I look out the window and there are teenage girls screaming at me,” Oakenfold said. Could be worse, could be a creepy guy in a latex onesie though! The couple also claimed that ghosts haunt the house and they weren’t informed of that either.